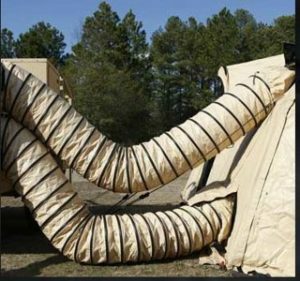 Defense – DU Technologies, inc.
DU Technologies (DU) provides design-engineering and manufacturing of flexible, non-metallic ducts for the defense market and defense contractors worldwide. We produce ducts measuring from 4” to 48” (100 to 1,200 mm) diameter and in lengths up to 50ft (15M). 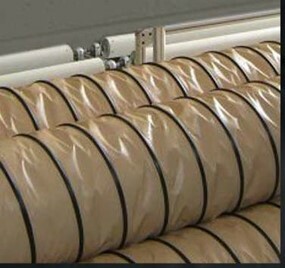 All the materials used in manufacturing the flexible ducts meet military performance specifications and requirements. Provides no less than 75db of shielding effectiveness in the 100MHz-1GHz range, with 65db shielding past that to 12GHz. 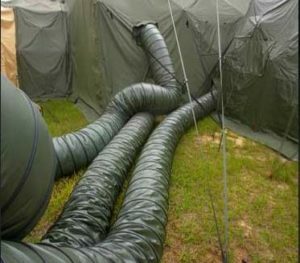 The exclusive DU EMI shielded ducting will enhance the Warfighter working environment when an EMI shielded shelter or enclosure is provided with an external HVAC system. The EMI shielded duct maintains effective continuity between the units deployed. Our manufacturing facility, located in New Jersey, has the capability to produce high volume flexible ducts using state-of –the-art technology. To maintain excellence in our manufacturing process, we’ve instituted a Quality Assurance System in accordance with ISO 9001:2015 requirements. DU can provide flexible non-metallic ducting in colors specified by the DLA (Defense Logistics Agency) FS595 (Federal Standard 595) and RAL (German Institute for Quality Assurance and Certification). Other colors can be provided as required by national or international standards. DU can provide a variety of cuffs and coupling to mate with existing HVAC duct ports or customized according to specific requirements. These attachment cuffs or couplings can be as simple as a belt and buckle, a more elaborate steel twist and lock design or metal, aviation specific, connectors (AS38386/1 and 2). 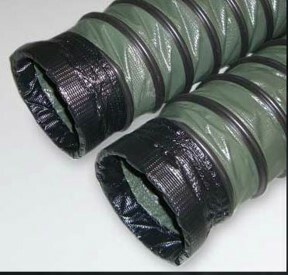 To achieve the highest possible energy efficiency for deployed systems, our flexible ducting is insulated with various insulating materials up to 1’’ thick. DU strictly adheres to all U.S. DOD specifications, and is in full compliance with the Berry Amendment and the Buy American Act. 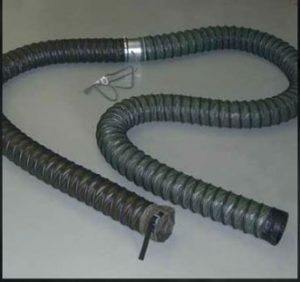 Many of the flexible duct products also meet specifications such as SAE-AS38386 (aerospace) and SAE-AS7365 (ground heaters). Examples of field applications where our products are being used included: deployable command and control centers, field hospitals, decontamination facilities, deployable communication center, forward operating bases (FOB), maintenance facilities and tactical hard or soft walled shelters. Please contact DU Technologies directly for your specific needs.